Today’s stable release is stage two of the Reborn project. 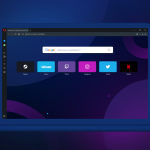 Opera 46 improves the quality of Opera Reborn by introducing more user interface changes, reducing crashes, fixing issues for built-in browser VPN, and adding support for animated PNG files (APNG). If you’re looking for the full Reborn experience, you can try the exclusive backgrounds. We have partnered with top industry artists Umberto Daina and Feridun Akgüngör to create a custom set of fresh, cool backgrounds. There are many others to choose from, including animated ones. In the last months we dedicated even more time to achieve greater stability of Opera. We fixed various crashes, memory leaks and glitches that impair user experience. So far the focus on quality has given a generous 35% reduction in crashes per user, making the latest Opera browsers the very best in terms of stability. Opera now supports APNGs, or animated PNG files. These are similar to your regular GIFs, but smaller. APNG also supports 24-bit images and 8-bit transparency which help them maintain quality. This format has become quite popular recently, particularly since Apple adopted the APNG file format for iOS 10 iMessage apps. It’s worth noting that APNG was also supported in Presto. Watch the APNG demo and learn more about this format. Opera 46 runs on tuned Chromium version 59, which introduces expensive background tab throttling. 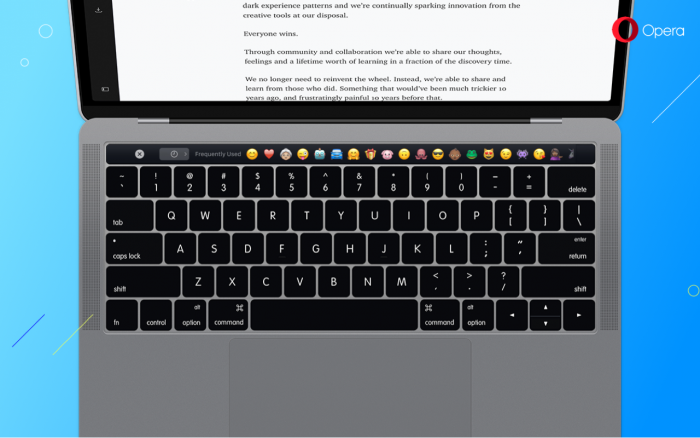 This technology reduces the processing power required for background tabs and improves battery life and overall browsing performance. 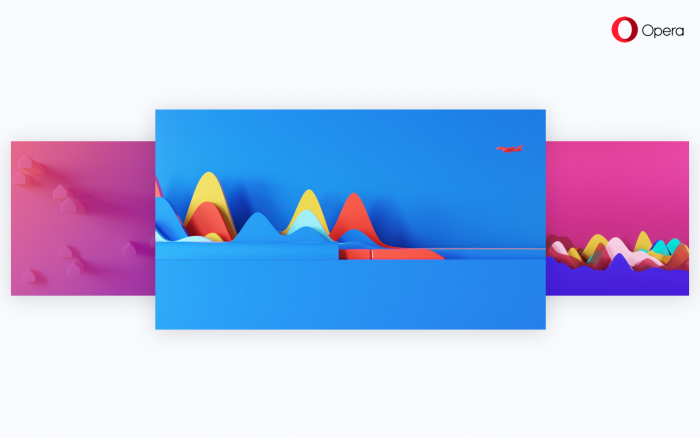 Try it out yourself with this background timer throttling demo. To learn more about changes in engine itself visit dev.opera.com. Together with this release, we are also launching our first TV advertisement for the browser. The ad will go live in our biggest market, Russia and is a celebration of all the reactions you have when you watch content of the internet. 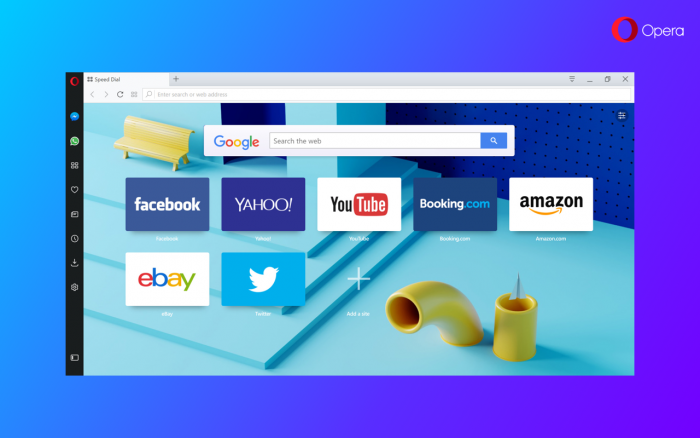 Enjoy browsing with Opera 46, and stay tuned for more Reborn improvements this summer. Note that since this version we have dropped support for Linux i386.